If your website is on Shopify then you know how handy Shopify apps can be for just about everything. But with so many social media feed widgets to choose from, it can be tricky to know which one is the best fit for your website. So to help out, we put together a list of 5 social media feed widgets for Shopify and each of their available features. Having a social feed on your website is a great way to increase engagement on your site and to help visitors feel more connected with your brand. 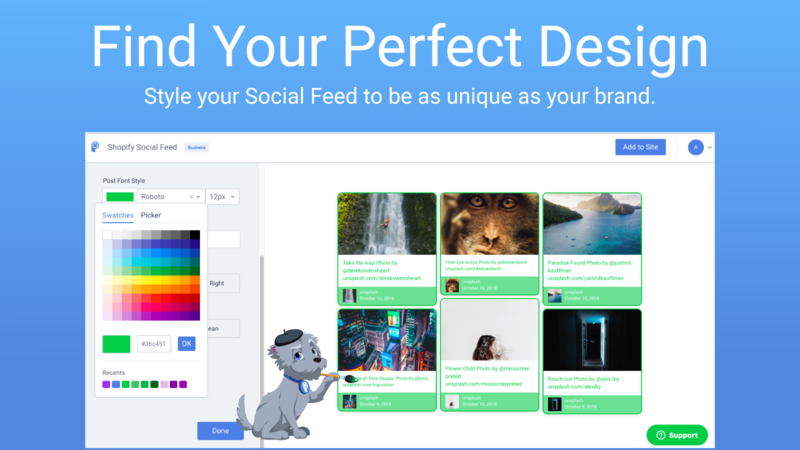 We’ve found 5 great social media feed widgets to choose from that integrate social networks like Facebook, Twitter, Instagram and more! 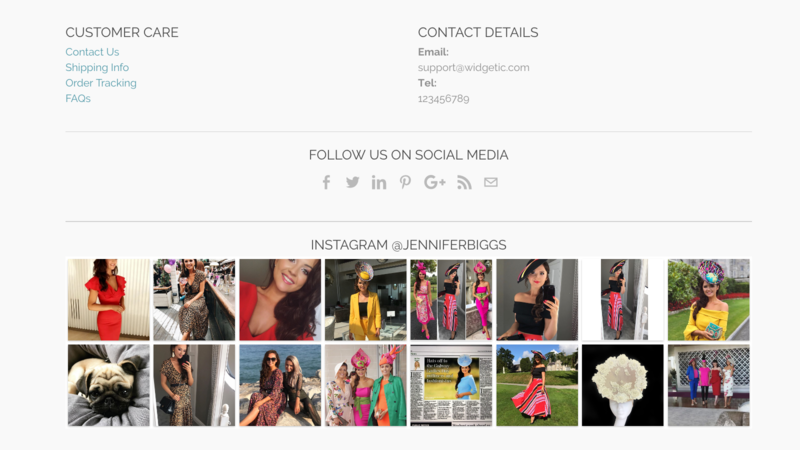 Widgetic is a social media feed plugin for Shopify that integrates with Instagram to create a social media grid on your site that updates automatically. This social feed is customizable to fit the style and design of your website and is fully responsive so it works on the tablet, mobile, and desktop. Another great social media feed widget for Shopify is the Flow-Flow Social Media Feed. This feed supports 14 different integrations including Facebook, Twitter, Instagram, YouTube, Pinterest, LinkedIn, Tumblr and more! This social media feed offers content filters to excluding any posts using a word, username, or URL. 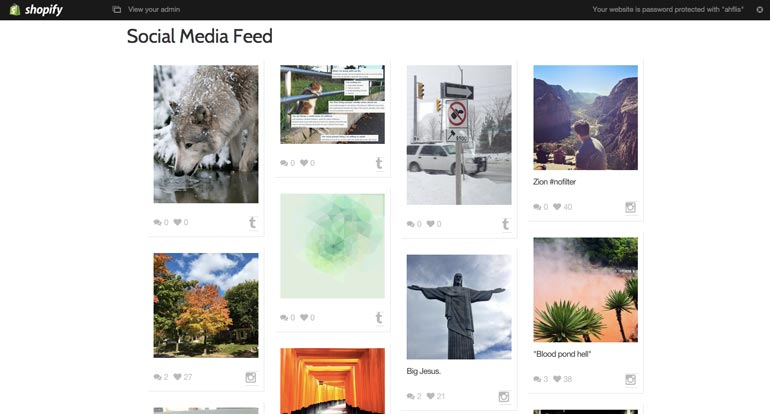 You can also customize this social feed using pre-defined presets or creating your own design from scratch. 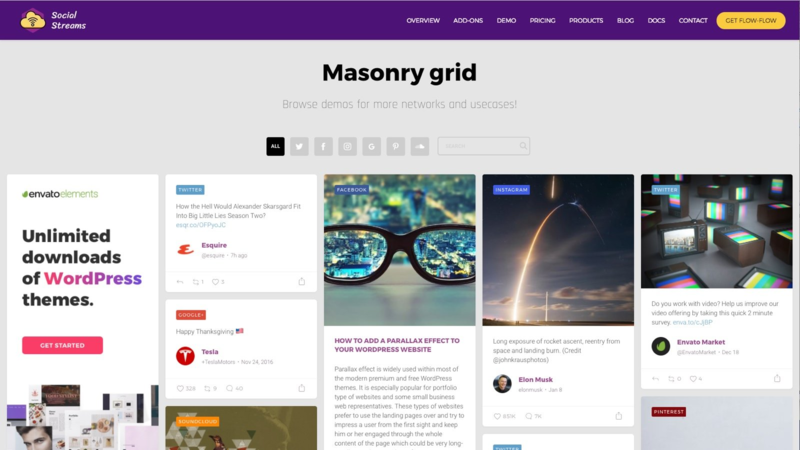 The Flow-Flow social media feed is also fully responsive adjusting to any screen size. This Shopify social media feed widget called the Social Media Stream is a social wall that supports streams from Facebook, Twitter, Instagram, YouTube, Pinterest and Tumblr. The posts on this social feed update automatically and are supported across PC, phone or tablet. You can choose the type of posts you’d like to see in your social media feed for each social network, for example adding post from a Facebook Page or a Facebook Profile to your social wall. 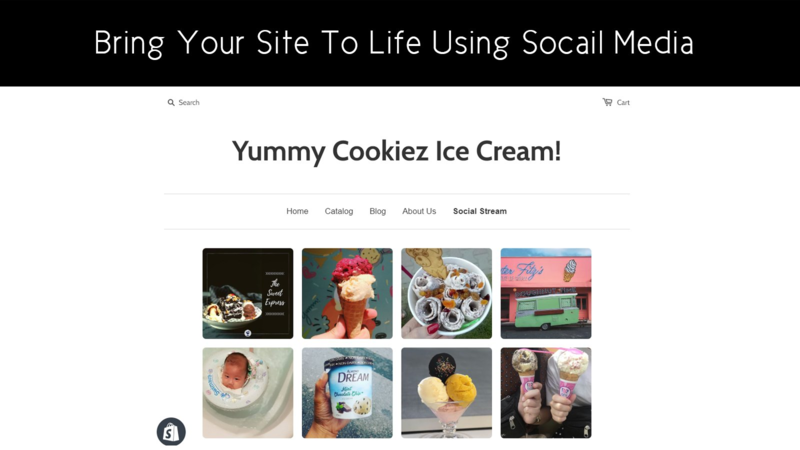 While the name may be deceiving the social media feed widget, Instagram Facebook Social Feed, offers integrations with lots of social networks including Twitter, Facebook, Instagram, YouTube, Tumblr, Flickr, RSS, Pinterest and the list goes on. This mobile responsive social feed has lots of customization allowing you to pick your own fonts, colors, adjust size and more. This social media feed is a great option for combining images, videos and text in one social wall. Juicer’s social media feed is designed to integrate seamlessly with Shopify websites. Our social feed lets you to build your social wall using your accounts for Facebook, Twitter, Instagram, YouTube, Google Plus, Tumblr, Pinterest, Tumblr, Vine, RSS, Spotify, Slack, LinkedIn, Flickr, Vimeo, Hashtags, Yelp and DeviantArt. Your social media feed content can be customized by @username or #hashtag and you can setup rules and filters to sort out any unwanted content. Having custom CSS enables you to customize the design of your social media feed including adding branding or a design that fits your website’s style. Though it’s not a Shopify app, the setup is quick and easy. Check out this guide on setting up Juicer’s social media feed on Shopify to get started! With so many free Shopify social media feed plugins available, these 5 stand out from the rest with their features, supported social networks and social feed customization. We hope this guide will help you find the best Shopify social media feed widget for your site and your needs.